Ayobamidele Aladekomo popularly known as Aduke is a Nigerian born performing artiste, a singer, songwriter, guitarist, dancer and actress. This talented young girl set to storm the world with a unique blend of artistry from the cradle of Scoale music. not far fetched for her. Her low range voice and style of singing was not encouraged in the religious institution but she set out to be the brand she believed was real and appealing. SHe has basic training in theatrical practice. She heads a band named SSV (Sticks, strings and Voices) and debuted her first show in 2010, with Aduke and Fwendz ‘an evening of poetry and conscious music featuring Kafayat Quadri, Sage Has.son, Sistasoul, Adewale Oreshade’, She has performed at literary events and art festivals in Nigeria. 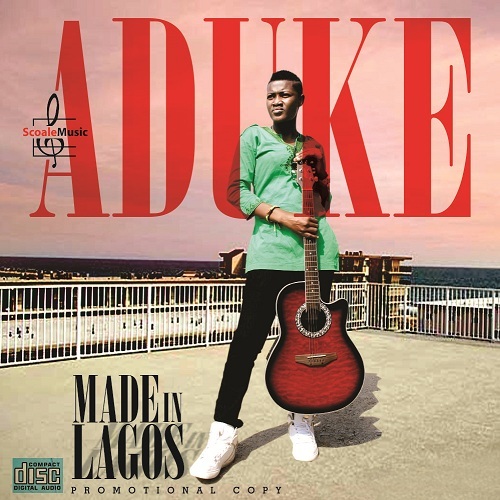 Aduke is a graduate of history and Strategic studies from the University of Lagos. The single ‘Made in Lagos’ is a song that addresses rural / urban migration which is a common trend in major cities all over the world, inspired by real life situations. Lady of Songs Christy Essien is gone …. #OccupyNigeria Placard Of The Day!